The million dollar question – Facebook VS Instagram? On April 9 2012, the online community was greeted with the news of Facebook’s acquisition of Instagram. Doubts, questions, cheers surfaced out of that business deal. What big changes could we expect? Were the two platforms going to become identical? Well, 7 years on, we see that while these two social media giants share some similarities, there still remains significant differences that differentiate one from the other. Therefore, while influencer marketing is applicable on all social media platforms, influencer marketing on Facebook and Instagram each have their unique set of pros and cons. However, they differ in many different categories namely their respective reach, engagement, type of activity users tend to engage in and the profile of users. 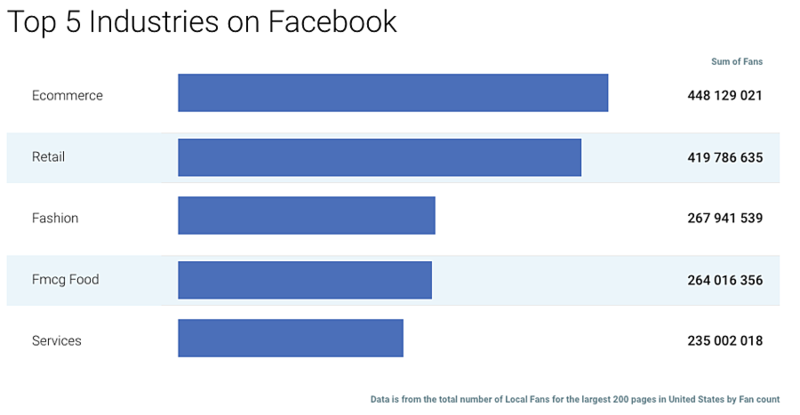 Firstly, in terms of reach, Facebook takes the lead. Facebook is able to reach a wider target audience. This could possibly mean that influencer marketing on Facebook would be a greater help in areas such as brand awareness, due to the larger group of people the message is sent out to. However, do not make your judgement too early! This is because Instagram tends to perform better in terms of engagements. A Forrester study put Facebook’s engagement rate at 0.7%, significantly lower compared to Instagram’s 4.21%. This is supported by data from a Selfstartr study. 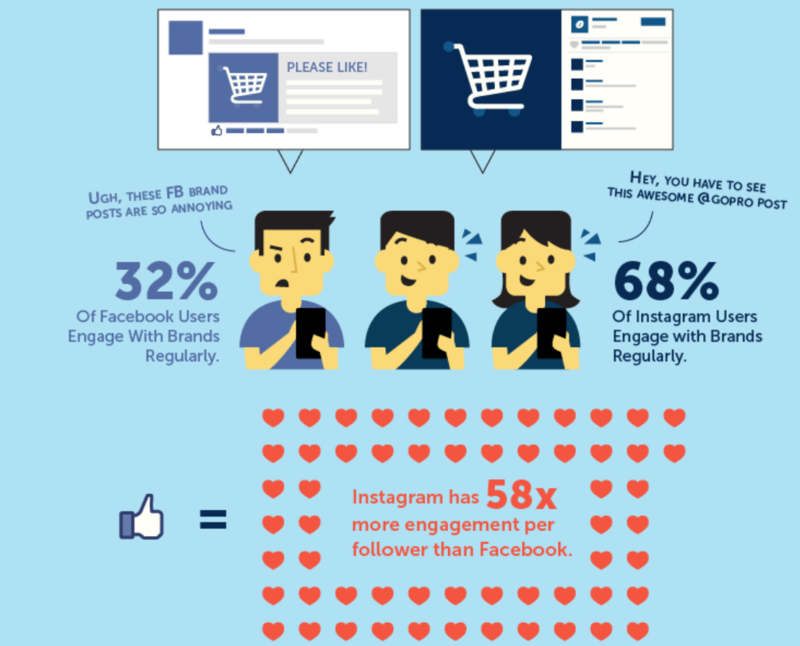 Only 32% of Facebook users regularly interact with brands, compared to 68% of Instagram users. Their conclusion was that brands receive 58x more engagement per follower on Instagram than Facebook. These engagements come in the form of comments and likes. Now you might ask, how is engagement relevant to choosing an influencer marketing platform? Let us explain. A high engagement rate (larger percentage of people commenting and liking) is a great indicator of the levels of interest of Social Media users. The action of actively participating by clicking on the post to like/comment/share indicates actual interaction with a postings. Think about this, when you like/comment/share someone’s posts, you have most likely internally processed the original posting and have thus decided to react to it. Therefore, a higher engagement rate is a good indicator of a successful influencer marketing campaign, since the message has been internalized by the audiences. Although the group of people reached via Instagram is relatively smaller, the ability of Instagram’s content to capture user’s attention (as seen from high engagement rates) makes Instagram suitable for influencer marketing. However, Facebook still has the second highest audience engagement rate among all social networks (according to locowise). Therefore, one should not neglect Facebook an influencer marketing platform. Thirdly, the type of activities across these 2 platforms differs. Popular writer in e-commerce, Matt Ellis states “Instagram is seen as a style resource, an ideal place for learning new trends and discovering new artists, as well as keeping up with their favorite celebrities.” This is backed by the chart below. Instagram dominates industries like fashion, beauty, interior design, architecture, photography and celebrity news. This makes Instagram better for influencer marketing since users on Instagram have a higher tendency of browsing with a goal of product recommendations from the various categories. Therefore, an influencer marketing campaign on Instagram is likely to be have higher results in terms of sales since users browse with an objective of a specific type of content. However, with e-commerce being the top industry in Facebook, it remains a great option as an influencer marketing platform. E-commerce takes the title of largest industry on Facebook with over 400 million users indicating they are ‘fans’ of Facebook e-commerce. This implies that Facebook users are increasingly interested in allowing Facebook to influence their purchasing habits. Therefore, influencer marketing on Facebook remains a viable venture. According to Pew research Centre, 82% of internet users between 18-29 are on the platform. 79% of internet users between 30 and 49 years of age are using Facebook. 64% of internet users aged between 50 and 64 are on Facebook. These stats suggest that Facebook is effective for reaching internet users across all age groups. On the other hand, Instagram is most popular among young adults between the ages of 18 and 29. 55% of internet users from age bracket 18-29 use Instagram. This user base makes Instagram ideal for reaching a younger audience. Therefore, should an influencer marketing campaign have a strict target group of young people, Instagram is where you should go. On the contrary, if the target audience is across all age brackets, Facebook would be an appropriate platform. If your end goal is to increase brand awareness for your startup, pick Facebook with a higher reach. If it is to attain quality interactions that could possibly lead to sales, pick Instagram with higher engagement rates. At the same time, look at your target group. 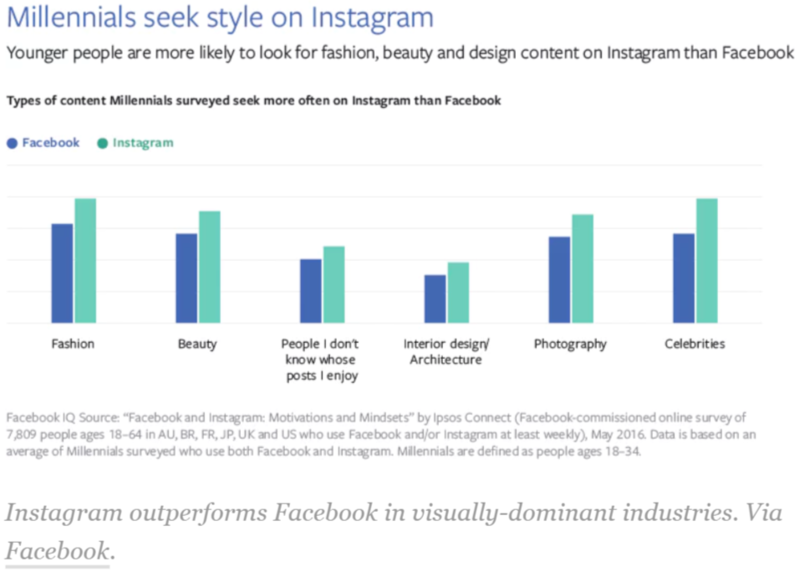 Companies targeting millennials might consider Instagram, where a large number of them are at. While companies that wish to reach out to other age ranges should consider Facebook, with a demographic of a wider age range. there is no definite answer when choosing between these two social media giants for an influencer marketing platform. However, your decision should be made after considering the 4 factors above. Reach, engagement, type of activity and profile of users. Look at these 4 factors in consideration with the goal of your campaign to make the right decision today!